Thanks to Adbusters for this graphic! Click on image to go to a video about the many steps it takes to turn a foam coffee cup into a usable product. Consider if it is less effort than what it takes to just wash the cup when you're done with it. Some ideas from the Jackson County Health Department are HERE. You won't want to use any disposable plastic after THIS (caution - kinda gross). More ideas for "eco-friendly habits and a green lifestyle"
... but if you must shop, shop local! 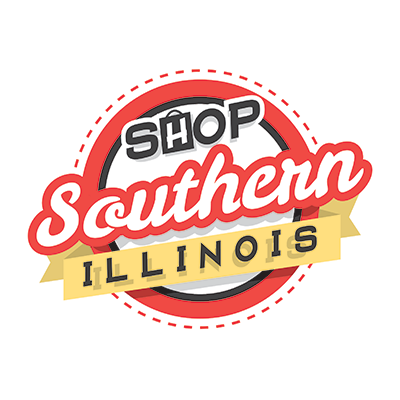 Several Southern Illinois Chambers of Commerce have joined together to do what they do best – support local businesses this holiday season, but we need your help by Shopping Southern Illinois. 1. Local business owners are your neighbors, your friends and family. They attend our churches and support local charities. Their children and grandchildren attend our schools and support our local athletes and teams. 2. Local business owners hire locally. Their taxes help support essential services such as improving our roads and infrastructure, fire and police departments, schools other civic endeavors. 3. Local business owners and their employees provide superior personal service and build relationships with their customers. 4. Local business owners spend their money locally, supporting the growth of the local economy. 6. Local businesses offer a wide variety of products and services at affordable prices without additional fees or travel and transport costs. They’re convenient, offering the goods that shoppers are looking for close by. The holiday season comes with a lot of purchasing, wrapping and feasting which can increase the amount of waste that we generate. However, it doesn't have to be that way! You can follow some of the tips below to be more sustainable during your celebrations this year. Reuse newspaper and paper bags in place of wrapping paper for gifts. Don't forget to recycle the paper afterwards! Use reusable dishware, cutlery, and napkins instead of disposable plastic, foam, and paper plates and utensils. Buy products made with recycled content to help "close the loop" and support the recycling industry. You can find a full list of Holiday Recycling and Waste Reduction Tips here. Art by Henry Dews on display at Carbondale Public Library June, 2013. The work of art displayed here is made from objects which were originally intended for another use, and they were used well and long. Then … they were no longer needed for that purpose. Examples are the plastic lids (one from a jar; others from pens). Can you see them? Some items were discarded, left to the elements, to be found serendipitously by Mr. Dews, whose approach to life is to look for the value and potential in all that comes before him. As he goes about his day, he keeps an open mind (and heart). As he picks up litter, some items offer a glimmer of hope for re-use. He sets them aside and waits for the opportunity for a new purpose. … a lady’s bracelet? Or earring? … a peanut butter jar lid?